Wesbster’s diction defines “Myth” as a traditional or legendary story, usually concerning some being or hero or event, with or without a determinable basis of fact or natural explanation, especially one that is concerned with deities or demigods and explains some practice, rite, or phenomenon of nature. A collection of myths is a mythology. Now Airship 27 Productions brings you four such tales of wonder and imagination as distilled through the minds of today’s New Pulp writers. Stories handed down before the written word that still mesmerize and entertain us. “This book was inevitable,” explains Airship 27 Productions Managing Editor, Ron Fortier. 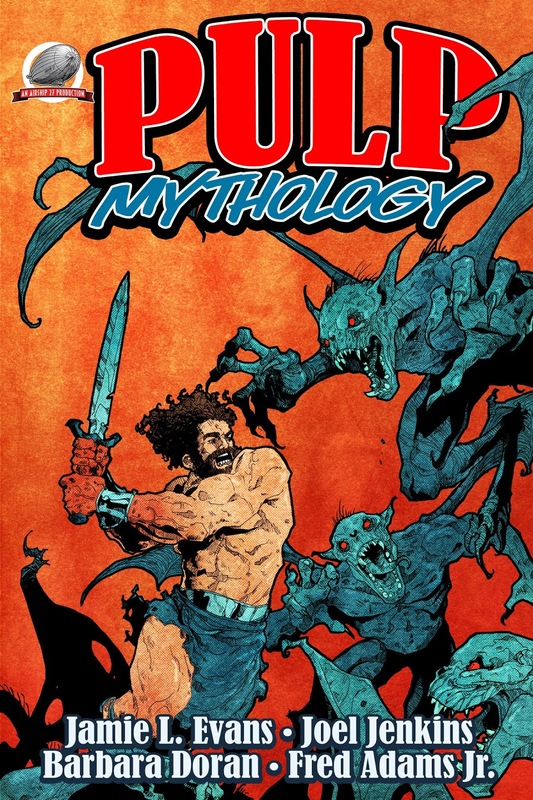 “After doing our series of Sinbad the Sailor anthologies, we always felt there was a market for pulp flavored stories inspired by classic mythological heroes. Once we put the word out, filling this first volume took no time at all.” In these pages you will find such eternal heroes as Hercules, Achilles, the Monkey King and Beowulf in classic adventures courtesy of Jaime Evans, Joel Jenkins, Barbara Doran and Fred Adams Jr.
Clayton Hinkle provides the black and white interior illustrations and Zachary Brunner the cover featuring a battling Hercules. 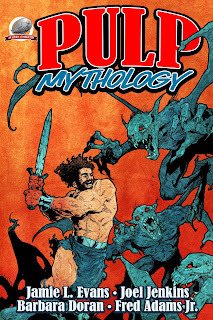 In PULP MYTHOLOGY, ancient thrills are made new again and legends live forever. Now available from Amazon in both paperback and on Kindle. 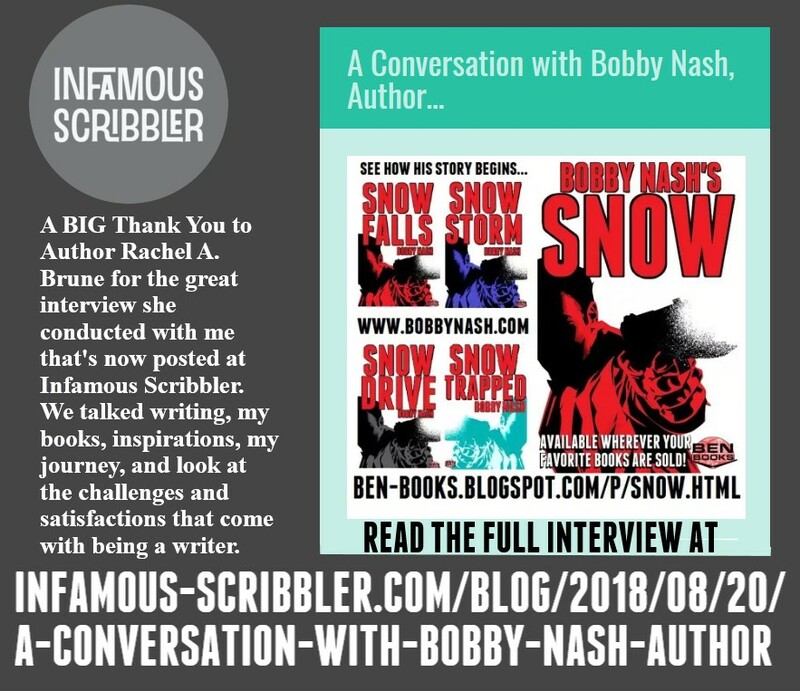 THE INFAMOUS SCRIBBLER INTERVIEWS BOBBY NASH! 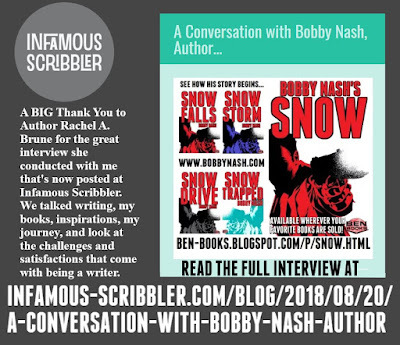 Award-winning author Bobby Nash was interviewed by author Rachel A. Brune for the Infamous Scribbler website. 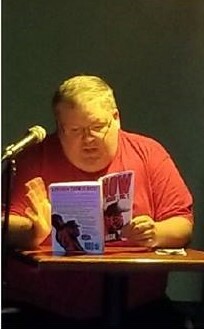 Rachel and Bobby discuss his my writing journey, the satisfactions and challenges of being a author, inspirations, advice, and more.